So Long Democracy, We Knew Ye Well. R.I.P. Well, it’s is now official. Liberal democracy as we knew it is no more. Or, as Nietzsche might put it, democracy is dead. And how do I know this, you ask? 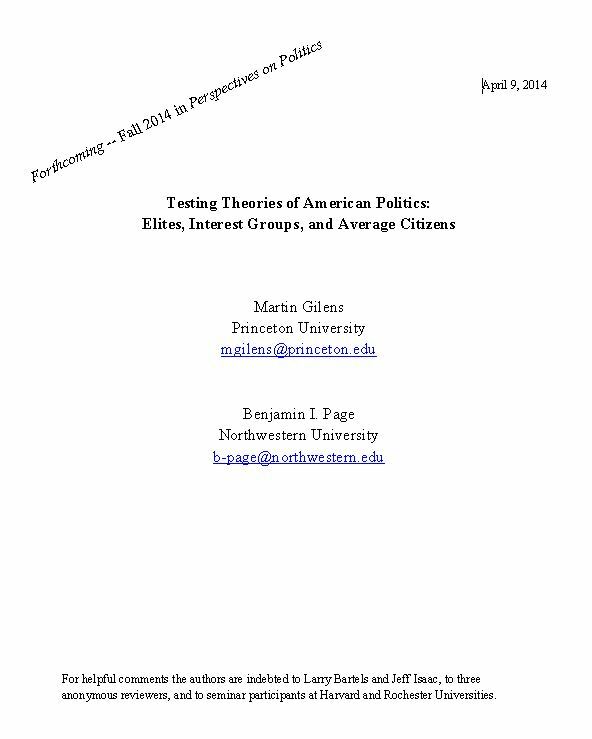 I know because of an April 9 report by Princeton University’s Martin Gilens, and Northwestern University’s Benjamin Page, “Testing Theories of American Politics: Elites, Interest Groups, and Average Citizens,” that tells me the majority does not rule in the United States. Well, I was shocked, shocked I tell you. In other words, it’s tyranny by the minority. Of course, anyone who follows politics in this country knows intuitively that our system of governance has been in trouble for several decades – that there are a few at the top who get the mine, while the rest of us get the shaft. The latest Gallop poll shows that Congress has a 13% approval rating. That’s better than the all time low 9% it got in November, 2013, but it’s still an F minus. The founders set up a bicameral Congress to represent all the people and thus be the engine of democracy. But the evolution of the two political parties with their absurd gerrymandering, along with an almost obsessive appetite for the accumulation of wealth, have helped to grind the democratic process almost to a halt. All of this lack of confidence in our elected officials, along with the embarrassingly high disapproval rating of Congress, and yet we still reelect incumbents 90 to 95 percent of the time. The definition of insanity comes to mind – doing the same thing over and over and expecting a different result every time. Like the House of Representatives voting 40 times to repeal the Affordable Care Act knowing all the time that it will never pass. 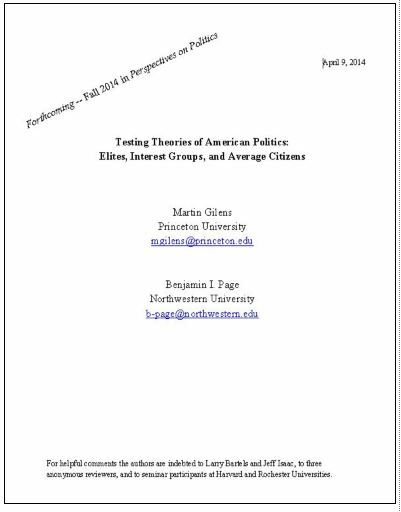 “Perhaps economic elites and interest group leaders enjoy greater policy expertise than the average citizen does,” Gilens and Page write. “Perhaps they know better which policies will benefit everyone, and perhaps they seek the common good, rather than selfish ends, when deciding which policies to support.